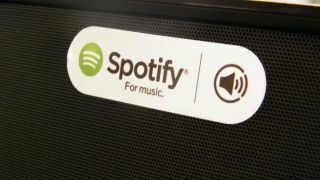 Spotify Connect is a nifty little feature, letting you stream your music to select speakers locally over Wi-Fi and eliminating the need for any Bluetooth pairing faff. It's also something that iOS users have been able to rub in Android faces for the past couple of months. Now the feature has been made available for fans of Google's OS via an update for the Android app, as spotted by Android Police. There are currently only a limited number of compatible partner speakers, which include Philips, Argon, Revo, Pioneer and Bang and Olufsen, and of course you'll have to be using Spotify Premium before you can start streaming. While you're streaming music over Spotify Connect you'll be able to take calls and just generally use your phone however you want without interrupting the music. You won't be able to play any local files though, just tracks you find on Spotify. But it's an especially handy feature if you want to get some of your own tunes rocking when visiting a friend's house. It also means you can be as far away from the speakers are you like, just as long as you're still in Wi-Fi range. Google Play Music All Access or Spotify? FIGHT! FIGHT! FIGHT!